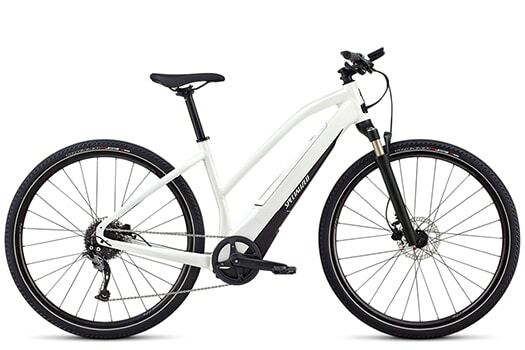 The Turbo Vado 2.0 exemplifies the best in e-bike technology. Specialized is invested in creating the most comfortable ride: with 47mm tires and a suspension fork, the Turbo will keep you rolling smoothly over the sometimes-bumpy roads of Sonoma. The 1.2 mid-drive motor accelerates up to 20 mph and will help you power up hills at the same pace as carbon frame road bikes. We love that this bike is sturdy and sporty enough to let you push when you want to, but kicks in when you need a little extra boost!